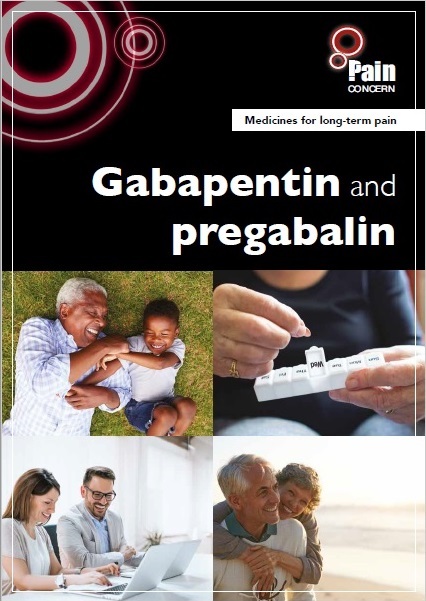 Pain Concern has produced three expert information leaflets focusing on current, commonly prescribed pain medications: antidepressants for pain (amitriptyline); gabapentin & pregabalin; opioids. 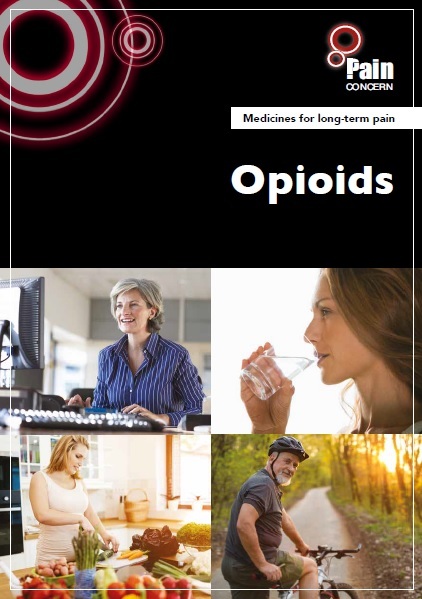 The purpose of the leaflets is to equip people with authoritative information about therapy options and enable informed discussions with their GP health care professional. 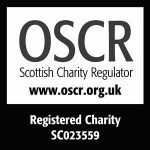 The leaflets are funded by Big Lottery Scotland and have been authored by UK Pain specialists. Click on the images below to read the full leaflets. I found this page and leaflets very helpful Thank you. I’m not sure why the Pain Clinic I’ve recently attended haven’t made available anything like this, or any leaflets at all for that matter. I have had M E for the past 11 years or more, and at first the exhaustion was the worst symptom, but then I started to have pain in my right leg, this was very unpleasant, and after a while, the left leg began to be painful, this changing of the legs happened once more, I have had very bad pain in my right leg recently over many months,using the ‘Tens’ machine does help, and having a water bottle is comforting as well. Combined with this has been inability to sleep. I have to explain that I had this last problem prior to being diagnosed with M E. I have had several other things to add to the tally! This is anaemia and also pre diabetes, also I get very constipated, and have embarrassing wind. I was told many years ago that I had IBS so I lay that at the IBS door. 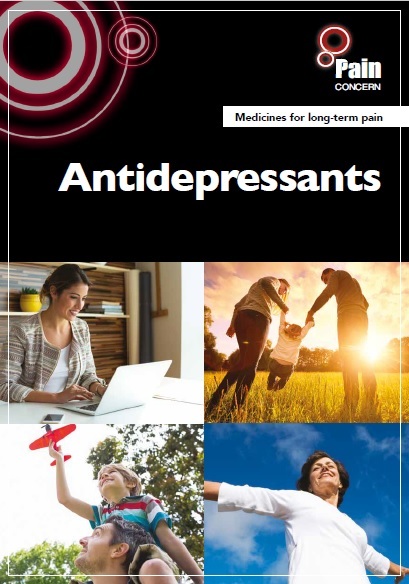 I saw a new doctor a few months ago, who has taken an interest in my problems, last time I saw her I went with an article by a doctor about help for the M E sufferer, several times in the article he mentioned amytryptilene, and as I was going to hand it over to doctor, she suddenly said had I been told about amytrptilene, I was very surprised and told her about the guidance that the doctor gave saying that some M E sufferers found it very helpful. Thus I came home with a two week pack, and started that evening, together with my usual pills. After two weeks I realised that I was not in such pain, and that I was going off to sleep very quickly. I still awake about 2.30 to 3 am as I always did, but I get to sleep for several hours, so that is a terrific difference. After several more doses I am convinced that this wonder pill has changed my life, very little pain and several hours of sleep, plus having more energy to do jobs around the house and to walk to the village shop. I am also gardening and not coming away full of aches and pains. I am so pleased and wish that I had been given the pill many years ago as I have lost many yea rs, and when it started as I retired at 65 I could not go away on holiday I felt too ill, I was easily stressed, so lost friends as I could not stand noise and was searching for words to speak or having any conversation got in a muddle and have forgotten events and visits, my brain seemed to let me down, and of course, depression set in. I am delighted as you may guess, and hope that this little blue pill can be given to other M E sufferers, they may have success as I have . Thank you for all the information that you have put here, it is very much appreciated.